Disney's hit 1992 film is now a Broadway musical! Our arrangements are in standard piano/vocal format with the melody in the piano part. 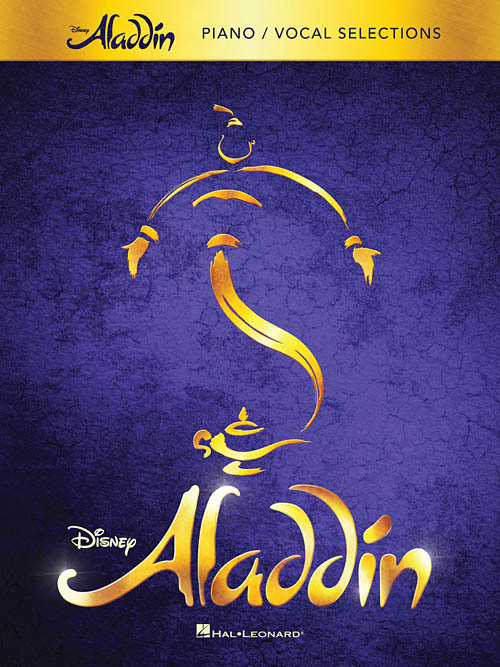 It also includes gorgeous photos from the Broadway production along with 13 songs: Arabian Nights • One Jump Ahead • Proud of Your Boy • Babkak, Omar, Aladdin, Kassim • A Million Miles Away • Diamond in the Rough • Friend Like Me • Prince Ali • A Whole New World • High Adventure • Somebody's Got Your Back.